So, how exactly can we find out the essence of a person? The absolutely most taboo thing that you can do is to base it off of one time where corruption is revealed or one time where the person committed a transgression and then declare them guilty. It does not even matter what kind of transgression it is. You must first look at what the behavior of the person was like all along, not in just one instance. I will give an example. There is a person who is hungry, and then, because they were hungry, they stole a bag of food. Isn’t this theft? There is no doubt that this is theft. However, you cannot simply declare him guilty and say, “You are a thief.” To determine if someone really is a thief or not, you cannot base this solely on one instance of theft. Instead, you must look at what the person’s humanity and nature are like to determine it. If this person was not hungry, if there were all kinds of food in this person’s house, and they still consistently stole things from others, then it could be determined fairly easily that the essence of this person, their nature, was that of a thief. If this person can steal in any situation, and indeed can’t help but steal, then this person just likes to steal, even if they steal something and can then just throw it away. If someone is being bullied to the point where they are completely fed up with it, and then they take a knife and kill the person who was bullying them, would you be able to then say that the nature, the essence of this person was that of a murderer? This person was being bullied, and not only being bullied but being bullied by a wicked, a malevolent person. What is it called when someone murders another person in this kind of unbearable situation? Killing an enemy. So, would you be able then to declare this person guilty of sin saying, “You are a murderer. You are a demon. You are just a kind of poisonous snake”? Is it right to say these things? What kind of problem is it if you speak like this? You are declaring judgment on other people. It is convicting other people of sin. A leader in the church is talking in a very severe manner with another person in the church who has a bad humanity. While the leader is dealing with that person, he criticizes him as a matter of principle. That person cannot stand it, and so he levels a charge against the leader, saying, “You are suppressing people. You are an antichrist.” Is this right? This is called a blind application of rules. This is called declaring judgment on a person. This is called convicting a person of sin. Is only relying on a few problems like that enough proof to convict someone of being an antichrist? Only those who are disturbing and interrupting God’s work are antichrists. Only relying on one instance of transgression and then declaring someone’s nature to be that of an antichrist, that is called suppression and an attack on leaders and workers. When people speak, they need to have an actual basis on which to found what they say. The principles and standards for identifying antichrists are very clearly stated in the work arrangements. Are false leaders antichrists? People who do not have the work of the Holy Spirit in them can be divided into several kinds of situations. 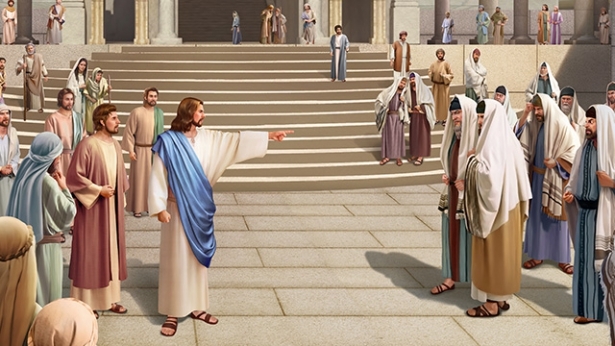 If this person is a pursuer of the truth, and they still haven’t attained the truth, unable to use the truth to solve the problem, and are only in the middle of being trained and brought up in the church, but then you call them an antichrist, aren’t you treating this person in an unjust manner? If this false leader is doing all kinds of evil and is not a pursuer of the truth at all, isn’t this what it means to be an antichrist? Yes, it is. You must be able to identify people, but you must do this by looking at the essence of the person. It is only in this way that we will not make errors in judgment, errors in convicting people of sin. Do you understand? If there is a person who committed adultery, can you say of that person “You were promiscuous all along, and we should expel you”? Is it right to do so? This belongs to the category of judgment, and judgment means convicting people of sin. You cannot judge someone on the basis of only one instance of sin. You must judge them on the basis of their consistent style of life. If this person can commit these sins again and again, then that means that there is a problem with that person’s essence, their nature. You must look at things and people according to their nature and essence. It is only in this way that your judgment will conform with the truth and the word of God. Therefore, if people who really know the truth see other people have committed some transgressions, even if they see it with their own eyes, they do not judge them. If this person who really knows the truth has a loving heart, then he will help the person and help him to know the nature of that transgression and what its essence is. He will help him to know this and repent himself. He will not judge or convict him of sin. This is how people who know the truth treat others. This is what it means to have a true, loving heart. They see that a person has committed transgressions, that this person’s corruption is revealed, and they don’t immediately bludgeon that person, but instead they use a loving heart to explain things to that person and help them know the essence of their transgressions and have a heart of repentance, and then, finally, true repentance. That is the difference in the way people are treated and problems resolved by those who understand the truth and those who do not. They all learn to be human, and they all enjoy God’s grace, but why is there such a huge difference? It is not all right not to pursue the truth! If you do not understand the truth, then you should speak less and seek more. This is the kind of reasoning that normal people should possess. Do not blindly convict people of sin or criticize them as a matter of principle whenever a problem appears. Are you engaged in the Cultural Revolution? Are you engaged in the Rectification Movement? Is it important to understand the truth? You will not be able to see clearly through anything if you do not have the truth. You will always just be speaking blindly. What is the first thing that you should do when you come across a problem and you do not have the truth? You should have sense. You should close your mouth, speak less, and seek more. What are you going to speak but blind words if you do not first find out the truth and the essence of the matter? Just close your mouth, all right? If someone does not have the truth and still continues to speak blindly, does this person have any sense? Moreover, wouldn’t you think that this is too arrogant? Wouldn’t you think that this is the kind of person who has an aversion to obedience in general? They always think that they are not in the wrong, that they are stronger than others. That is what arrogance looks like. In general, when someone who understands the truth sees someone else or sees something happen, they will not easily talk about it. They think that when they should help, then they will share the truth with this person and help them to understand it. They do not talk until it is really time to talk, and they also don’t judge, but aren’t these things common sights? You thought that if you saw something, then there is a problem and if you did not see anything, then there is no problem. God’s elect, before they have completely entered into the reality of the truth, only have problems. Even if you do not see any problems, they still have problems. They might even have a lot of problems. You just can’t see them. Normally when I go somewhere, the first thing that I do is let brothers and sisters talk about problems they might have. Many people do not bring up any problems, so then I say, “You have not brought up any problems. Do you have any problems?” “Yes.” “Well then, if you have problems, then why haven’t you brought any of them up?” “We have not seen them.” “Not having seen anything yet is not the same as there not being any problems. How about I bring up some problems? I will bring up some problems that you have not seen yet.” Then, the moment that I bring up the problem, they begin to think, “Wow, this is a serious problem. How could I not see this problem before?” If you do not have the truth, would you be able to see these problems? All of humanity has been corrupted to the fullest by Satan. Who does not have corruption inside them still to be revealed? Who has not committed any transgressions? If you can clearly see this fact, then why are you blindly judging? You cannot only rely on what you can see with your eyes; you must look at things based on the truth. There are many things that you have not seen. You thought that the way that people behave in front of you is the way that they will always behave and always have behaved. No, you need to learn how to look at things and look at people from their essence. After reporting problems to me, some people also ask, “What kind of people are our leaders and workers anyway?” Then I tell them, “Your leaders and workers do not have the truth, they do not have the reality of the truth. That is what I know. And I also know what things they are capable of.” At this time people are just given a chance to repent and practice. If they still do not repent over the course of one, two, three or four years and they are still not pursuing the truth, then and only then can you determine the nature of that person, that they are a false leader. Isn’t this right? At this time they are just practicing, and they do not yet know the truth. If they practice well, and constantly make progress, then they are able to stand. 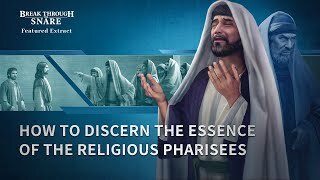 If, during the course of the training, this person is still not pursuing the truth and they have experienced no growth in the course of two or three years, then they will slowly be eliminated. To use a proverb of the unbelievers, they emerged on their own, and they now perish on their own. One aspect of God’s work is to save people, to perfect them, but at the same time it is also to reveal people and eliminate people. In the end, everyone who is obviously a wicked person, an antichrist, an evil spirit or an unclean spirit will be expelled; they will be washed away. So, the work of God is like a big wave that comes and filters the sand that makes up God’s people. A group of people comes into the church and experiences God’s work for some time. There are some people who were pursuing the truth, and they stand firm, and there are some who were not pursuing the truth. They were continuously doing evil, and so they were eliminated. Then, another group of people comes, and a few are left from that group. The rest are eliminated. Then another group comes. Again, some are left from that group, and the rest are eliminated. That’s what it means for God to come and filter out the evil from among His people. Don’t just look to whether or not people in the church assembly are sitting nicely at the present moment. Who can say whether in two, three, five or six years these people will have disappeared or not? There are some who will evaporate in the midst of other people. The remaining people are all the good ones. They really believe. They are pursuing the truth. They are loyal to God. They obey God. Those that disappeared were eliminated. Just like that, they vanished in God’s sight, just like water that evaporates before the sun. Seeing things in this way, if people do not have the truth, there is no way that they can stand. How then exactly should we look at people? There is no doubt that we must pursue the truth and look at people according to the word of God. Do not just go about implementing rules. Do not base your opinion on only one instance of a person’s behavior. You must look at people in accordance with their nature, their essence. Let me give an example. Say that there is a person who is pursuing the truth. Before this person has attained the truth, in their striving to perform their duty, won’t there be some impurities? There will definitely be a lot of impurities. First, they are relying on their own zeal and enthusiasm. Second, they are relying on their own notions. Third, they still reveal much corruption and have many wrong intentions. Therefore, it is inevitable that they will do some disturbing and interruptive things. But, what is the essential difference between when someone who is pursuing the truth disturbs or interrupts and when an antichrist, a wicked person does it? There are some people who rely on their own notions and imagination to do their work. They are not aware that they are disturbing or interrupting God’s work. They are doing evil work with good intentions. It is because they do not have the truth that they can’t see through the matter clearly. Then they even think that what they are doing is right with the result that they are unwittingly disturbing and interrupting God’s work. That antichrist, that devil comes well-prepared to his work for he is also bringing with him the deceptions of Satan and is consciously carrying out these disruptions in order to attain his goal. For example, there is a person who is trying to defend himself but ends up going too far and killing the person that was attacking them in imperfect self-defense. Then there is another person in a similar situation who consciously picks up a gun or a knife to kill the other person. Is there a difference between these two people? There is a difference, so we have to be able to see the difference. We have to be able to distinguish between the two. The law does not talk about this difference. If you killed someone in this way, then they will simply convict you of homicide. There are some people who say that in the law there is something called imperfect self-defense. Adding this makes a great difference. Who knows how many people have said some nice words for someone else in their defense in order to use this part of the law? Who knows how much money has been paid for such nice words in the country of the great red dragon? Isn’t this the truth? But, in the house of God, we look at people and we treat people according to the truth. We do not need to spend money. We need to do things according to the truth. This is the principle for people living in and doing work in the kingdom of God. This is what God has ordained. This is God’s requirement. We need to do things according to this. This should not be something that is influenced by emotions. So, the kingdom of God is a place where God has ultimate authority, where the word of God has ultimate authority, and it is only there that fairness and righteousness can truly be reflected and manifested. Is the law in accordance with the truth? The law does not even talk about the conscience or about the truth. Therefore, fairness and righteousness cannot be reflected or made manifest in a country that relies on the law to govern its people. Isn’t this true? Therefore, the most important thing is that we should live our lives acting in accordance with the principles of the truth. If we do this, there is no risk of failure. So, according to the requirements of God’s word, when we look at someone, we have to look at their essence. What are the major areas we must consider when looking to see a person’s essence? First, we must look to see if this is a person who is pursuing the truth or not. This is so important. Second, we must see whether or not this person possesses normal humanity, that is, whether or not they have sense, reason, and a conscience. This is crucial. Third, we must see what the nature and characteristics of this person are. There are some people who have a good heart with good intentions and they treat others in a well-intentioned manner. There are some people who like to talk and rely on their zeal to treat others with kindness and warmth. There are other people who do not like to talk and they hide themselves, but they like to do concrete things and are capable of solving real problems. There are some people who tend to deceive others, and there is nothing true to what they say. There are some people who like to show off, and there are others who hide away their talents. These are the various characteristics of people’s natures. Having looked at these three areas for consideration, you will be able to see through the essence of the person, and then you will know how to treat that person. Now, for those people who are pursuing the truth, what are their manifestations? First, they like to read the word of God. They often eat and drink the word of God. Moreover, they are willing to fellowship about the truth. Secondly, when faced with many things and those that are hard to discern, they can seek the truth and do not depend on the ideas or imagination of men in order to take care of things. Thirdly, when their corruption is revealed, or if they are dealt with or pruned, they are able to accept the truth. Being able to accept the truth is an amazing thing. Only if one can accept the truth and dare to admit to one’s own mistakes can they truly repent. Those who are unable to accept the truth will not be able to truly repent even if they admit to their mistakes. So, if you are able to see clearly what the truth of pursuing the truth is like, and you use this principle of the truth to measure people and if they are people who are pursuing the truth, then it is much easier to deal with. This person should be trained up in the faith and when they commit any transgressions, they should be given an opportunity to repent. Then, when electing leaders or workers, you should select them. That is the most important point. There are still some people who do not recognize their sin, no matter what evil they have done. If you uncover their sin, they will try to defend themselves, dodge the criticism, cleverly debate it, or deny the claims outright, suggesting various reasons for why they have not done it. Is this kind of person someone who is pursuing the truth? Is this someone who has truly experienced the work of God? This kind of thing can be identified. When you encounter this kind of person, then they must simply be eliminated and expelled. If they are leaders or workers, they should be removed from their position and then given a second chance. They can go back home and continue the normal life of the church. But if they still do not repent while living the life of the church, and they do not pursue the truth, then they can be thrown out and expelled from the church. That is just how you deal with a situation like that. Isn’t that right? The second area you want to look at when trying to see the essence of a person is to see whether or not this person has normal humanity. Although all mankind is alike in its deep corruption, there are still some people who have a little bit of humanity in them and there are some people who do not even have a little bit of humanity in them. That is the difference between these people. So, what areas are different between someone who possesses a little bit of humanity and someone who does not possess any humanity at all? The greatest area of difference is whether or not they have sense, reason, and a conscience. Those who have these things possess some humanity. Those who do not have a conscience have lost their humanity. People who do not have a conscience are no better than soulless livestock. To use the words of the unbelievers, these people are nothing but beasts. Isn’t this the truth? No matter what evil they have committed or how great their transgressions, and no matter how much effort you use to deal with them, relentlessly bringing it up and trying to get them to admit to it, they simply won’t respond, and would rather die than acknowledge it. Does this kind of person have a soul? Where is the person’s soul if they do not have a conscience? Where is their soul? You can determine it by whether or not they have a conscience. They do not even have a little bit of a conscience. They have done so many evil things, harmed people so much yet they do not feel indebted to them and do not even shed a tear. Does this kind of person still have a conscience? Do they still have their humanity? Is it accurate to determine whether one has humanity or not in this way? It is completely accurate! So, now that we must look at people according to their nature, their essence. Are you able now to do so? If you look at people according to these three areas, then you will be able to see through them. Is there still anything else that you will not be able to see clearly? Well, if people can grasp the principles of the truth, then they will be able to easily see through to the truth about the person. If they do not have the principles of the truth, then they will not be able to see them through. This is a fact. If you have really understood the truth, if you have really understood the word of God, and you look at people relying on the truth, then you will be able to see almost everything. Then, if you understand the truth clearly to such an extent that you have completely grasped the truth, that you have really attained the truth, then you will be able to thoroughly see through to the essence of a person, and it will be very clear. If a person is able to use the truth to see through to another person’s essence, such a person’s views on things have changed. They are principled when they look at people and when they take care of things. They are principled in their treatment of others and handling of problems. Then, does a person like this have the truth? Yes, they do have the truth. There are some people who cannot see through to the essence of a person. If they are asked to talk about what another person is like, they just say something superficial, such as what that person did the other day or what others have said about them. Then I ask them, “What do you think?” Then they are silent and don’t have anything to say. You only heard what other people said. But what do you think? Have you verified the problem? Is it really the way that you have heard it? They just stare and can’t speak clearly. What is the use of just talking about external matters? Does this kind of person have the truth? They cannot see through anything clearly. They are just saying what everyone else is saying. They are just following what other people are saying. Is everything that people who do not have the truth say accurate? There are some leaders and workers who do not have a position. They just say whatever the brothers and sisters under them say. They look at matters the same way the brothers and sisters look at them. They judge a person just like the brothers and sisters judge them. They declare the nature of a person to be exactly what the brothers and sisters decide. But, can’t you do a little bit of investigation yourself since you are a leader or a worker? If you make judgments about a person only based on what you hear about a person, or if you definitively declare the nature of someone only based on what you hear, isn’t it easy for you to wrong someone? This is called following the herd, and in doing so, it is very easy to wrong other people. Let’s say there are two people fighting. The unbelievers say that if you are fighting, then you will not say anything good. It does not matter how unpleasant it may be for the other person to hear, you just say it anyway, even to the point of cursing and condemning the other person. At this time, even framing the other person is all right. Declaring them guilty of sin is all right. Judging them is all right. Nothing to worry about at all, right? Can you rely on what other people are saying when they are fighting? No, you cannot. Leaders and workers cannot look at people only relying on what they have said to each other. You have to be in contact with the people yourself, look into the matter, verify it, and understand it. Try to reach out to their relatives, friends, acquaintances, those who know this person the best, those who really know what the person is like. You must conduct a full investigation in order to understand and verify things. Only then, after all of that, will you be able to definitely determine what kind of person they are and what the problem is. This is the responsibility of leaders and workers. If there are some people who say, “Oh, we have a gospel friend here, but he is not very impressive.” Then you would immediately say, “If he is not very impressive, then we will not preach to him.” Is that appropriate? Is this person really like that? If it is really true that this person is not worthy to be preached the gospel to, it’s fine that you give him up. If this person is prejudiced against the other person and says that he cannot be preached the gospel to and yet you give him up because of listening to a biased view, aren’t you harming this person? Is this looking at things and handling problems according to a person’s essence? There is a leader who offended a brother. That brother then judged him, and you do not try to understand the matter. Instead, you decide that this leader is a false leader or an antichrist relying only on the judgment of that brother, and so you remove this leader and replace him. Is this reasonable? Never practice selective hearing. Everything must undergo proper investigation, verification, and collection of evidence from multiple people before making a judgment call about a person’s nature. That is what is meant by treating people according to their essence. It is only in this way that we will be able to treat people fairly and reasonably. Only if leaders and workers solve problems using the truth and treat people fairly and reasonably, are they true leaders and workers and leaders and workers whom God acknowledges. Leaders or workers who are unable to use the truth to solve problems, who always practice selective hearing, who cannot see through to the true essence of anyone, but just speak nonsense and think that they have understood everything clearly and that they know everything do not have the reality of the truth. They are not suitable to be used by God, and God does not acknowledge them. They are wicked people. If they do not repent, if they do not pursue the truth, then they will be ones who will be eliminated. There are some people who I ask, “What is this person really like? Have you looked into the matter and verified things? If you have not verified things through investigation, you are just blindly judging people. Aren’t you just harming people by doing this?” If a leader is unable to fairly and reasonably treat people and if they are unable to treat people impartially, will God’s elect support them? Will God’s elect be able to look up to them? They are not a normal person at all. Who will be able to look up to them? Are there a lot of people in the church that like to dispute and judge people? Yes. How can this problem be solved? It can be solved using the truth. Take out the word of God and read it! Read it over many times. Talk about it with other believers. Then take a few cases and dissect them, allowing everyone to identify whether or not they are simply judging others. Then, if such matters of judging others arise again from someone, then you can begin to prune and deal with that person. If they don’t accept it when only one person deals with them, then everyone can deal with them. How does that sound? That is what it means to solve problems using the truth. What is the proper way of handling things in God’s house? It is using the truth. We use the truth to solve problems. Then, if after the problem is solved you do not repent, then you will be pruned and dealt with. Then, if you still do not repent, then you will be forsaken. Those are the steps for solving problems using the truth. You cannot just solve the problem after one step. The process needs to be divided into two, three, or even four different steps. Then you will be able to thoroughly solve the problem. Do those who are prone to observe rules have the reality of the truth? Do those who are prone to implement the rules have the reality of the truth in them? Do people who do not seek the truth or investigate the truth and instead just blindly dispute and argue when things come their way have the truth? When they see one instance of someone committing a transgression, their corruption being revealed, or the person behaving badly, they are ready to convict the person of sin. They use the word of God to convict the person of sin and criticize them as a matter of principle. Does this kind of person have the truth? This is especially true of those who are quick to judge other people. They open their mouth, and they immediately start judging people. Isn’t judging people like this like an attack? Isn’t this just like making false charges against someone? Aren’t you harming this person by doing this? What is the nature of the problem of these people who judge others? Isn’t it arrogance? Isn’t it malevolence and malice? One side of it is arrogance because they think that they are better than others, that they are higher than others, that other people do not measure up to them. There is also a part of it that is like malice. What does it mean when this person is judging others? Isn’t it like wanting to take a stick and beat the other person to death? Isn’t that what malice means? God saves people to the uttermost. Toward those who repent He does the utmost to save them. He saves people out of His great patience. Then, toward those who will not be saved, antichrists and wicked people, He declares them guilty, washes them away, and expels them. But you, you grasp at the transgressions that other people have committed and immediately judge them. You convict other people of sin and want to expel them to vent your anger. That is malice. You are persecuting others. You are making false charges against others. Does a person like this have love? Not only do they not have love, but they engage in unscrupulous behavior and are full of malice. You are not so relentless against antichrists, are you? If you can declare antichrists, wicked people, evil spirits and unclean spirits guilty, and you are able to expel them and get rid of them, then does this reflect your true love toward God’s elect and true protection of them. But you are silent toward antichrists, and you pretend that you are deaf and mute. When God’s elect commit transgressions, you become an imposing figure, and you display your great power. Are you not in the wrong in doing this? What power can you display toward honest people? Are honest people easy to bully? Antichrists have thorns covering their entire body. Why are you afraid to touch them? Why are you afraid of offending antichrists? This is clearly just bullying the weak and fearing the strong. You are just dragging out an ignoble existence. You are just a parasite. If you do indeed have power, then use it to confront antichrists and wicked people. Stop throwing your weight around pretending to be powerful in the house of God. There are some leaders and workers in the church who hold onto the transgressions that those relatively honest brothers and sisters have committed and don’t let them go, giving them such a hard time that they are made to cry. They do not communicate the truth with a loving heart or patiently help and support others so that they would come to a real knowledge of themselves and have a repentant heart. Instead, they give people a hard time until they cry, and they just walk around out of the way of wicked people, trying to avoid them. Are such people really being leaders or workers? If you are a shepherd of God’s sheep and you see a wolf coming, but you just keep running and hiding, sacrificing the sheep, are you being a good shepherd? A shepherd is supposed to protect and care for the sheep. Why are you running and hiding when you see the wolf coming? When you see an antichrist, a wicked person, an evil spirit, or an unclean spirit, and you go and hide because you are afraid of offending them, are you fit to serve as a leader or worker in the church? You are a false leader, a false worker. That is why you do not dare face or fight with antichrists or wicked people. You do not dare expel them from the church. People like this are just people who never try to offend anyone. They have betrayed God, and they are not loyal to God in the least. They are all serving as Satan’s guardians. Right now, each pastoral district is busy in the work of expelling antichrists, wicked people, evil spirits, and unclean spirits. But, there are some leaders and workers who are unable to do the real work. They just can’t do the right thing, and instead are putting themselves wholeheartedly into other useless work. They are not doing the most important work. What kind of problem is this? Inwardly they are harboring certain intentions. They are afraid of offending people. This kind of person is not loyal to God. If someone is not loyal to God in general, then they will certainly not be loyal to God when it comes to doing their own duty. Can such people be made perfect? Can God perfect such people? They are not of one heart with God. What would be the use in perfecting such people? Right when a work has begun, they turn away and betray God. They are all turncoats and double-crossers. Will God indeed perfect a traitor such as this? God does not perfect traitors. God perfects those who are loyal to Him. Only those who are loyal to Him are the true victors. So, how can we find out the essence of a person? In the flock, there are good people and wicked people. Most people do not have good humanity, but people whose humanity is not good can also be saved. What makes good people good is not that they do not commit transgressions or that their corruption is not revealed, but it is that they can pursue the truth. They can accept dealing and pruning. They can obey God’s work. No matter who says what is right or who tells the truth, they can accept it. They are able to spend for God and do their duty. They can pay the price. They can accept hardships. That is what makes a good person good. Good people are more honest, their hearts are kinder, and they do not have a heart that is out to hurt people. It does not matter what you do with them or what you say to them; there won’t be any problems at all. They will not hurt you. They are a good person. People without good humanity can receive salvation. They can be saved. But, once the conditions and the environment permit, they can do evil, so you must be on your guard. You cannot form a deep relationship with them. Once you form such a relationship with them, it is an abominable thing, a loathsome thing. That is what a person whose humanity is not good is like. Then, with wicked people, it goes without saying that they have it in themselves to perform every kind of evil. They have a particularly sinister, deceitful, and malicious heart. They do not accept the truth at all. They only like evil. This is a wicked person. So, that is what it means to look at things according to the essence of a person. You first look at the person’s essence to see if they are a good person or a bad person, or a wicked person, or an antichrist, or an evil spirit, or an unclean spirit. Sort them into different types. Then you will know how to treat different people relying on the principles of the truth. This is the problem that must be resolved when you look at a person and treat the person according to their nature and essence. Next：How Should We Pursue the Truth So That We Can Grow Up Into Maturity in the Faith?